We had a lovely summer, and an unseasonably warm fall, but now the dark and rain are settling in. It’s time for soup season and looking through the pantry for inspiration, I came across a lonely bag of wild rice. 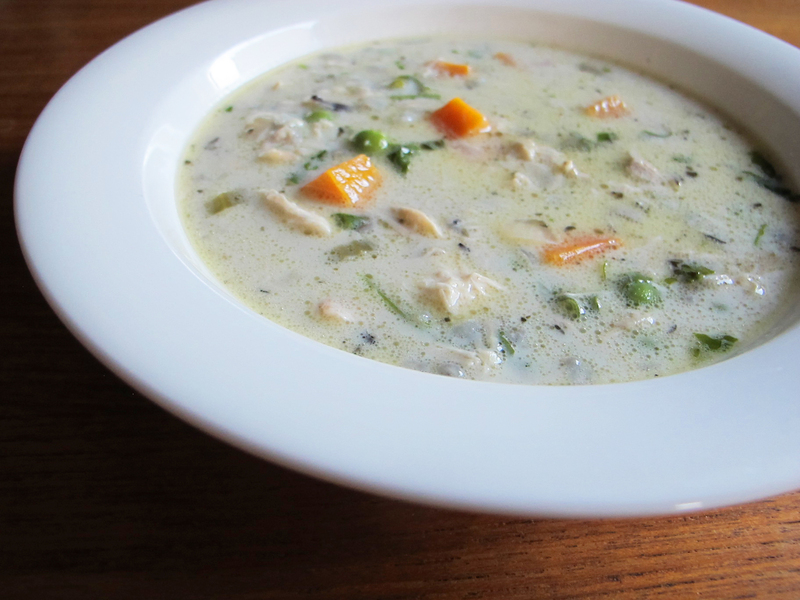 I love the nutty flavor of wild rice, and this slow cooker soup has turned out to be one of my new favorite uses for it. Wild rice isn’t entirely easy to come by in Sweden. When you do find it, it comes at a rather steep price, so you really don’t want to mess it up.I did some searching on the internet for recipe ideas and ended up adapting a recipe I found on centercutcook.com. It really couldn’t be easier, and it will absolutely be one of my new go-to recipes for a cold weather, wild rice treat. Heat the butter in a large frying pan and saute the carrots, celery, and onion until beginning to soften. Put the vegetables into the insert of a large slow cooker. Dissolve the cornstarch in some of the chicken broth and add it to the vegetables in the slow cooker along with the rest of the chicken broth, water, wild rice, poultry seasoning, herbs de Provence, and the chicken. Cook on high for five hours. When the chicken is cooked through and falling off of the bone, remove it from the cooker. Add the peas, arugula, and light cream to the soup. Remove the meat from the chicken and discard the skin and bones. Chop or shred the meat and return it to the soup. Serve hot.